Septic tanks hold all the raw wastewater from your home and are designed to be able to facilitate the removal of particles heavier than water by encouraging the heavy particles to settle to the floor of the tank. This is why septic tanks fill up with solids. 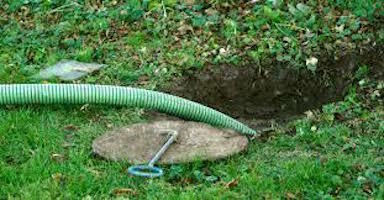 But every so often, like clockwork, you’re going to need your septic tank pumped. There’s no avoiding it, and if you do it can wind up being more trouble than need be in the first place. A large majority of on-lot sewer systems have septic tanks, but how often should your tank be pumped? 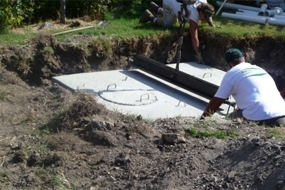 It’s generally believed that you should get your septic tanks pumped every two to three years. 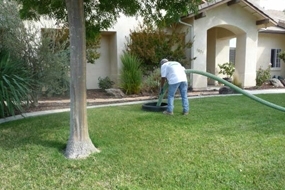 When it’s time for your routine Paso Robles septic tank pumping, give Ingram and Greene a call. To extract all the material in the tank, the scum layer must be broken down and the sludge layer mixed with the liquid portion of the tank. Pumps are used when the drain elevation is at a higher level than the outlet to pump the liquids from the tank to the drain field. Often times, pump failure is a direct result of poor maintenance. Since these pumps are designed primarily to handle liquids, if not pumped out on time, the entering of solids can cause the system to fail. Luckily for you, we here at Ingram & Greene will diagnose and repair these systems in that event! Have you been looking for sanitation engineers in the San Luis Obispo and Paso Robles area? Ingram and Greene Sanitation is just the company you’ve been looking for! 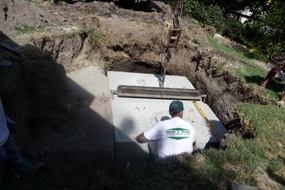 Established in 1952, Ingram and Greene Sanitation is a family owned and operated septic company with a reputation built solely on reliability, honesty, and a diehard devotion and pride in what we do. We take our job seriously; never will you find an unsatisfactory job done by Ingram and Greene. As veterans in the sanitation field with over 60 years of experience, we have taken our time in learning the best ways to satisfy our valued customers and fellow members of the community. 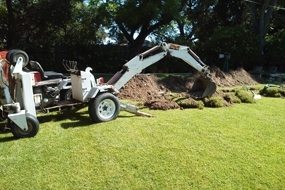 We are the longest continuously operating septic tank servicing company on the Central Coast. 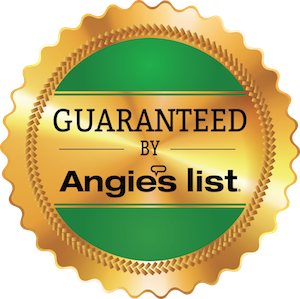 Time and time again we have proven to our customers that Ingram and Greene is a name you can depend on for the absolute Paso Robles septic tank pumping service in the county! Give us a call at (805) 466-0462.